Tonight we're all piled in mine and Val's room, "we" being Bethany and Dante. Val and Dante and performing a set as Bethany and I enjoy the sweet vocals and great lyrics. It's like a mini concert but in the comfort of my own bed. 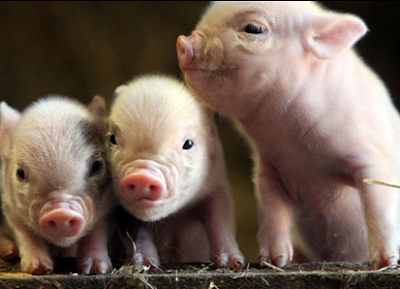 Somehow I decided to share with everyone about my affinity for pigs and how I am really wanting a micro pig. This stemmed into a huge debate about the smartest animal. Bethany and I of course said chimps, but Val wanted further investigation because Dante said it was dolphins. I, having already known that dolphins are the second smartest animal, went on a massive Google search for pig intelligence. What I found was quite intriguing. - They have a great sense of direction. Basically "Babe, Pig in the City" isn't completely unrealistic. Craziness! 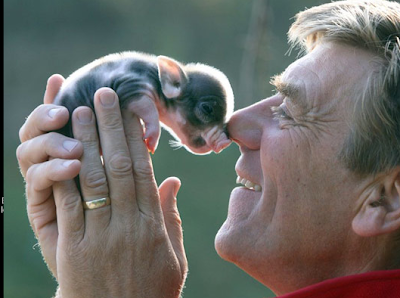 I mean I feel like I am so much more connected to pigs right now and that I would be an excellent mother to a few micro pigs. 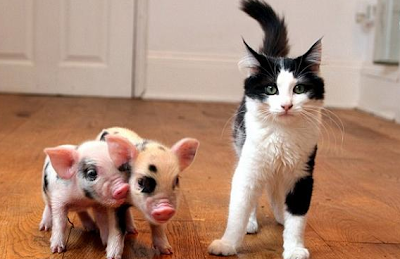 I can imagine myself living in a posh condo with a few little micro piglets roaming around, fetching, all that jazz.